The Good,The Bad and The Hmmmzzz!!! Another year zoomed by and here I am with my annual post! !😜 Kidding!! It is going to be more of a “Rhea’s Journal” than mine!! 👩‍👧So January just zoomed by! 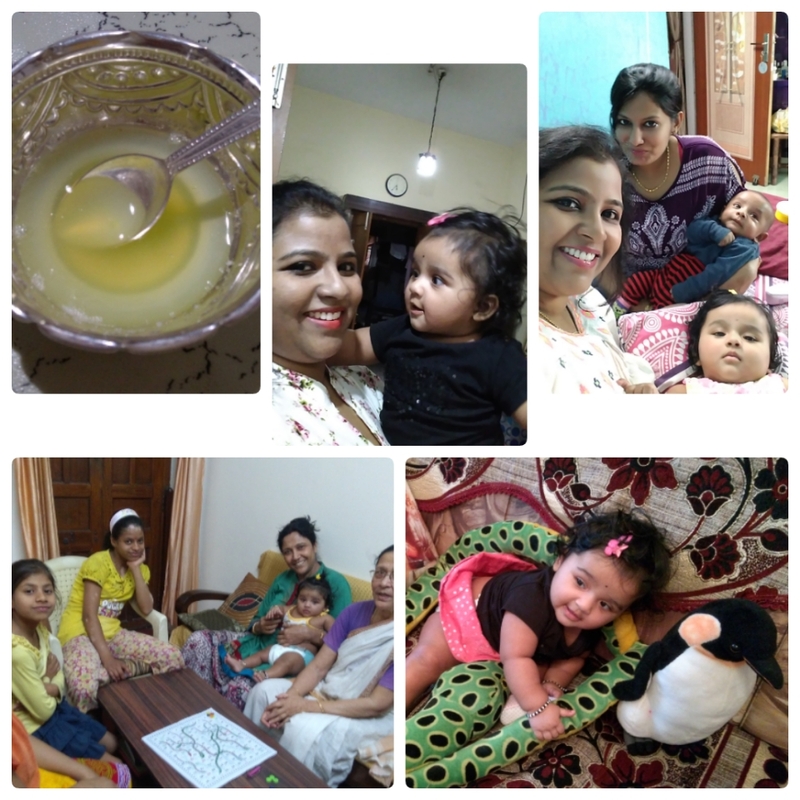 !Me busy with my Mommy duties and all I can think of is Rhea celebrating her first Pongal/ Sankranti festival!! 💕Come Feb and she was all decked up like cupid..!! 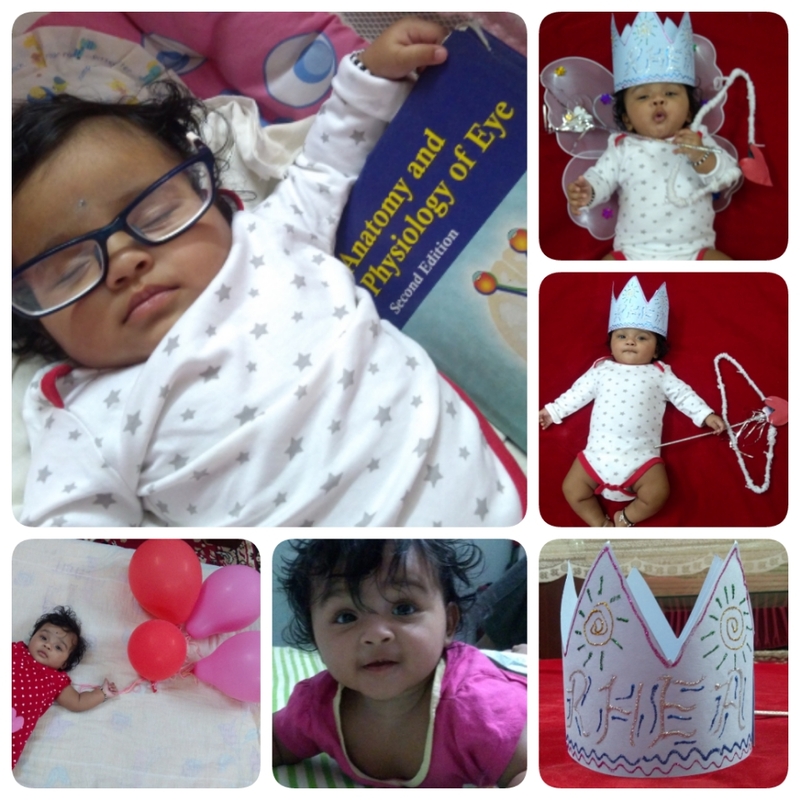 While I reminsced about the previous year, when I conceived her and it was all emotional for me!! She turned over for the very first time making us all ever vigilant, we couldn’t leave her unattended now on! 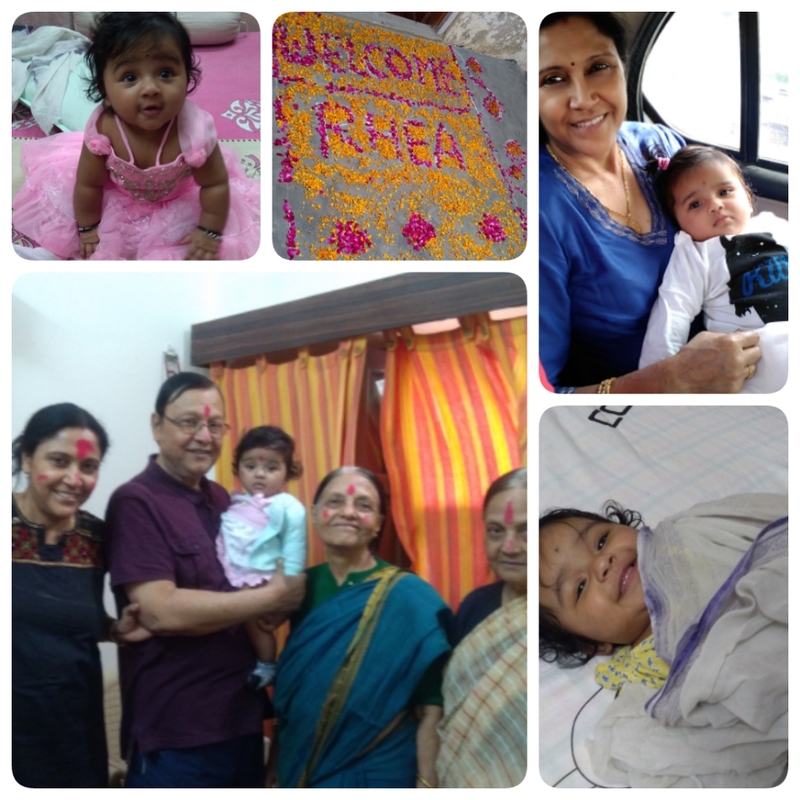 ✈March saw Rhea taking her first flight to my in laws place..yeah we were there for a month! !Curious rhea exploring the place ..new faces and new tastes!! 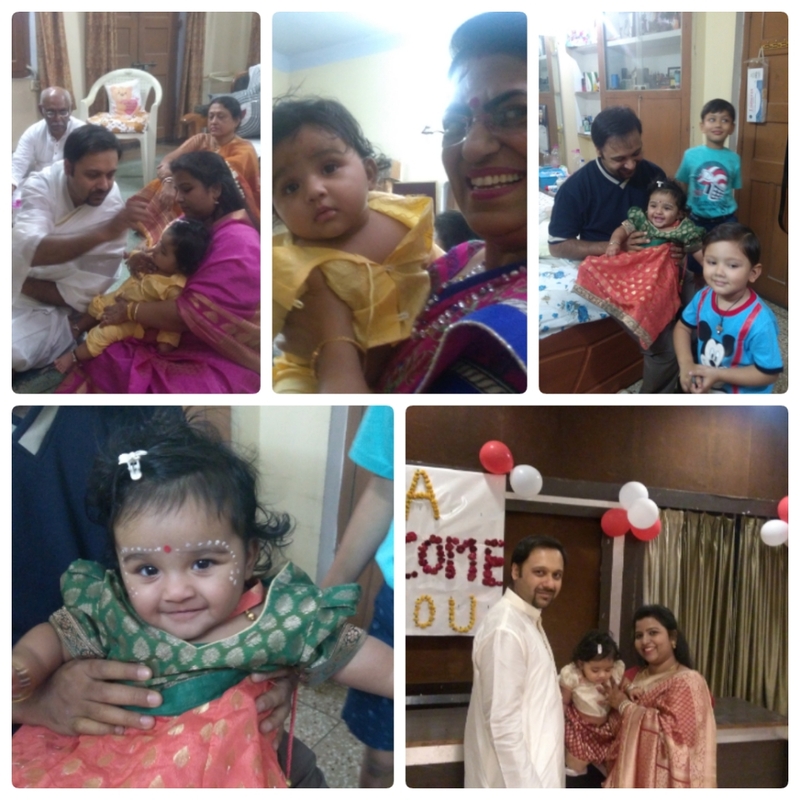 Attending her first wedding,travel and fun at Benares!! 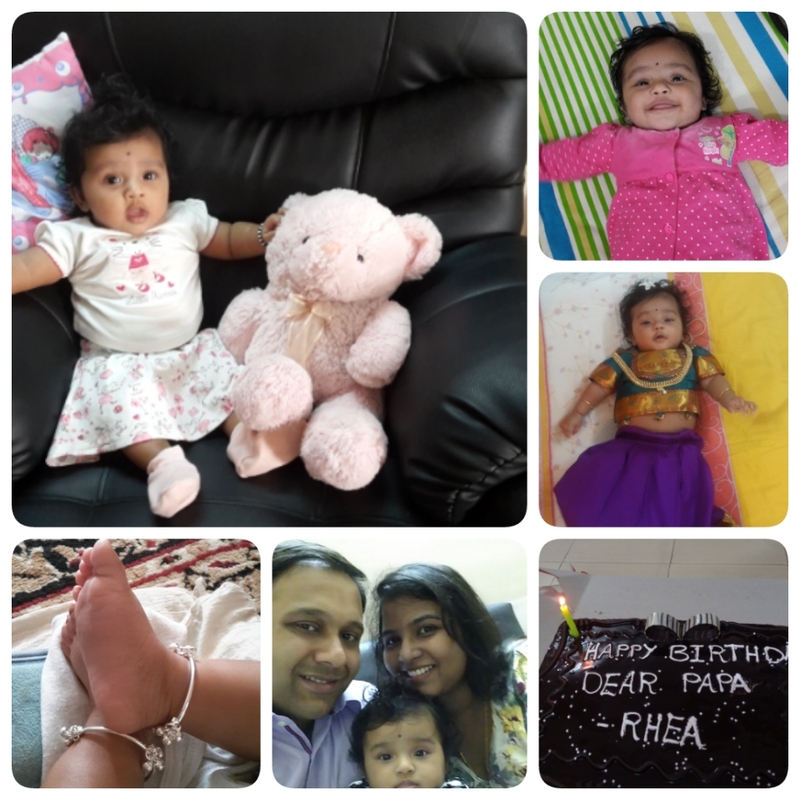 🍧April was Rhea’s annaprashana..she completed 6 months so this is a ritual where the child on completing 6 months is initiated to food and Rhea had her first own party and also her first taste of Ice cream!! 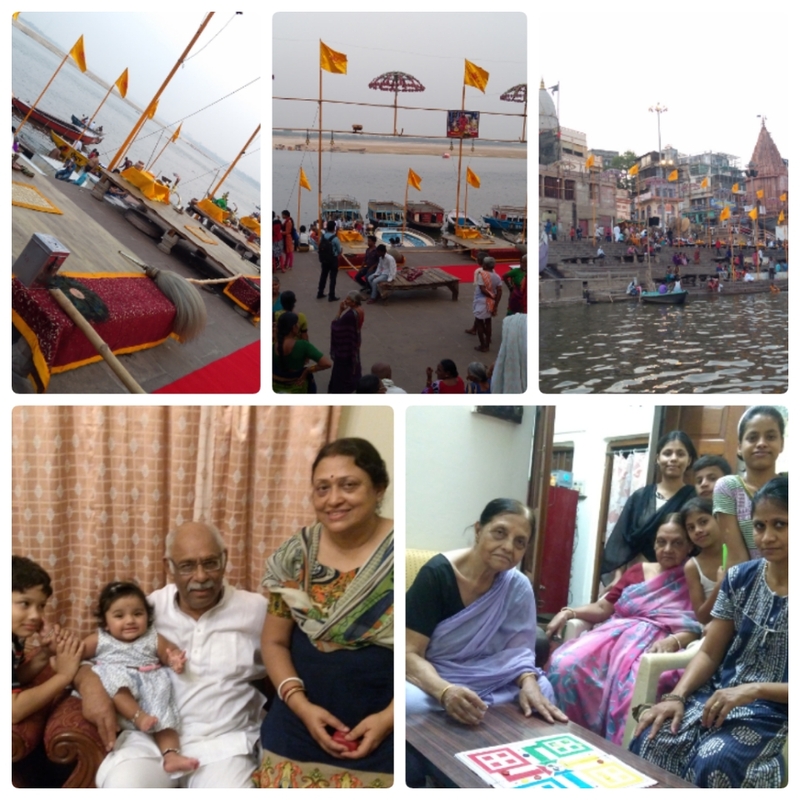 Exploring Benares, visiting friends , Ludo time!! 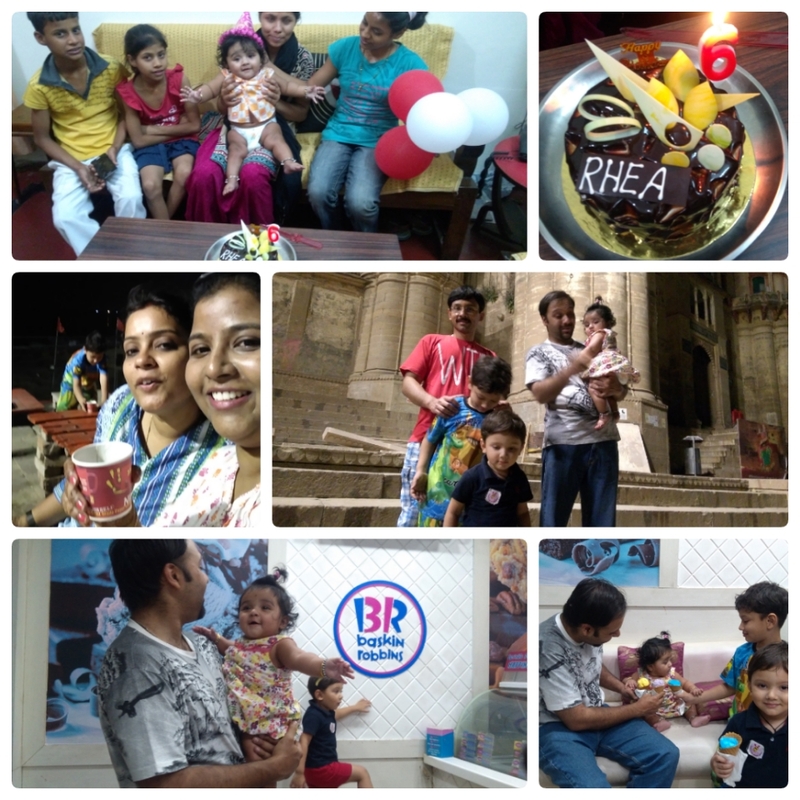 Rhea @ 6, Ghat and Ice cream outings!! 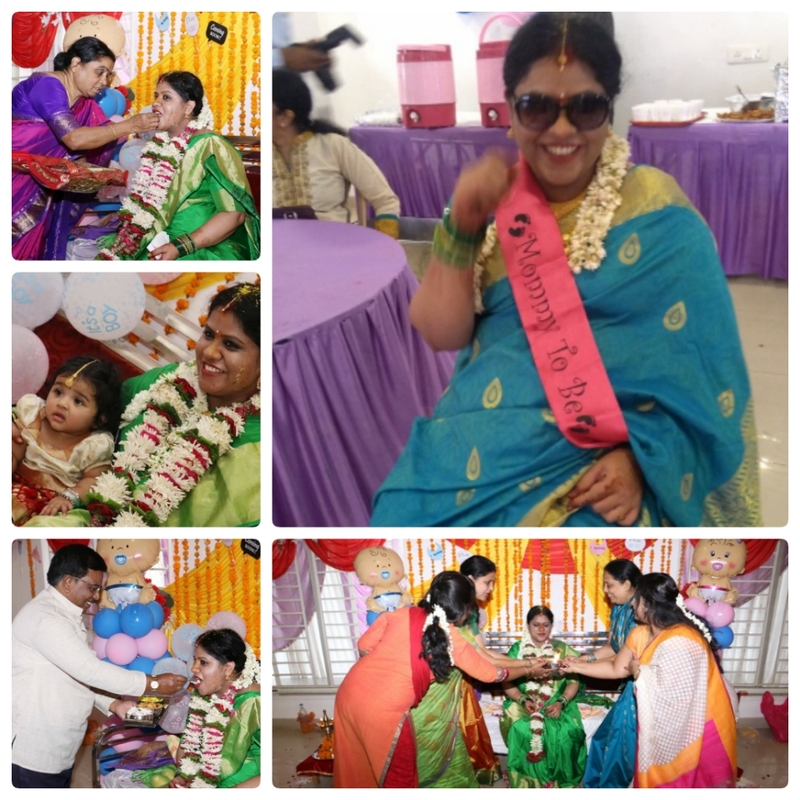 First taste of many things, shopping time, wrestler in the making..
🤰🏻We had a baby shower for Ruchi( my sis in law) in May which saw Rhea travelling to major cities again!! So Rhea had a lil brother!! 🎊July was spent watching rhea learning to crawl, then stand with support! 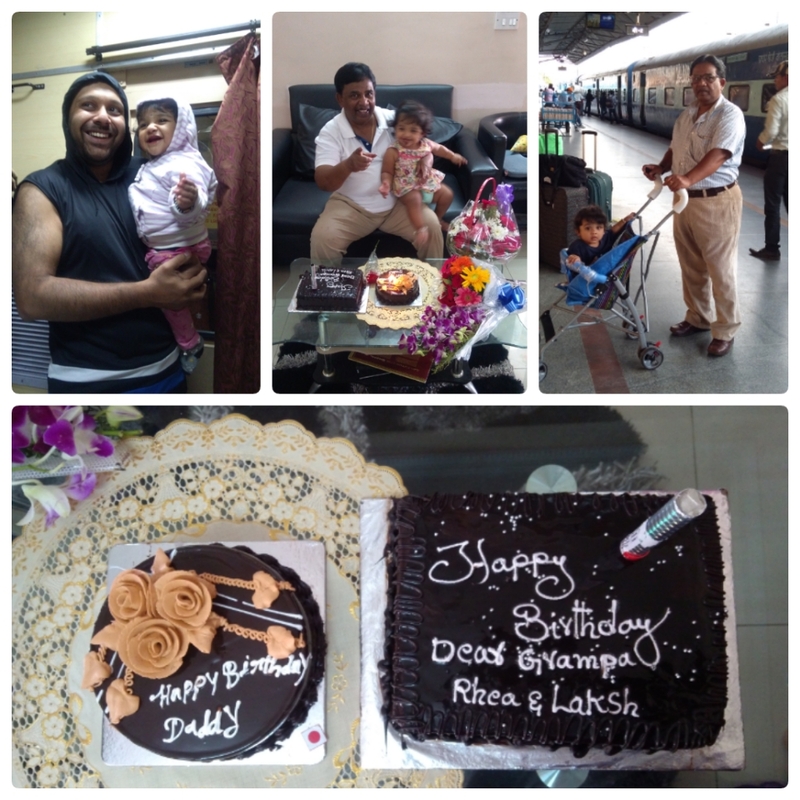 !She celebrated her grand dad’s bday!! Rhea had her first train travel and she thoroughly enjoyed it!! 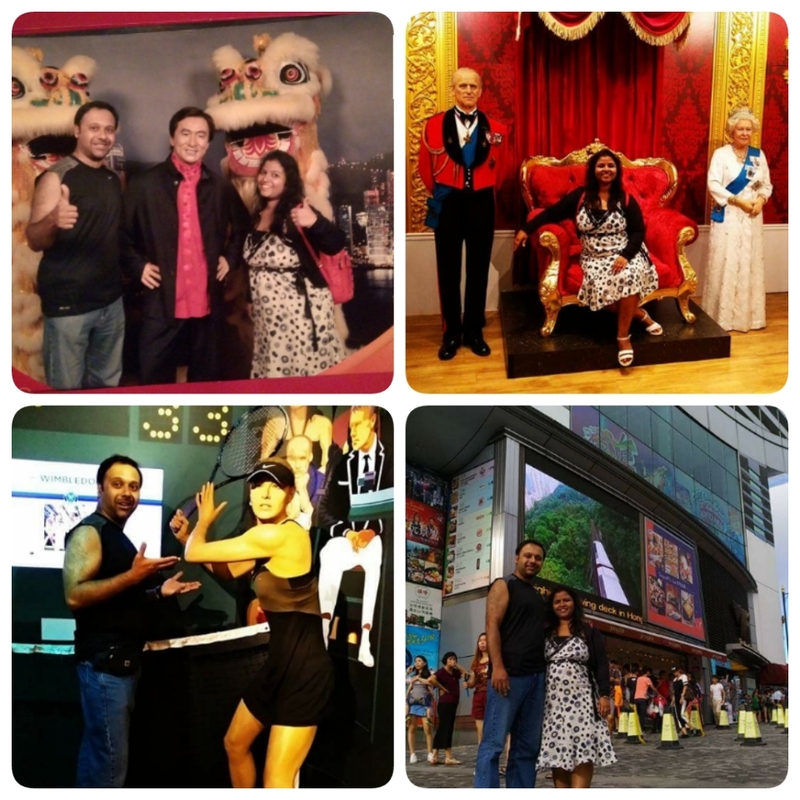 August brought out the adventurous side, we were hopping cities!! 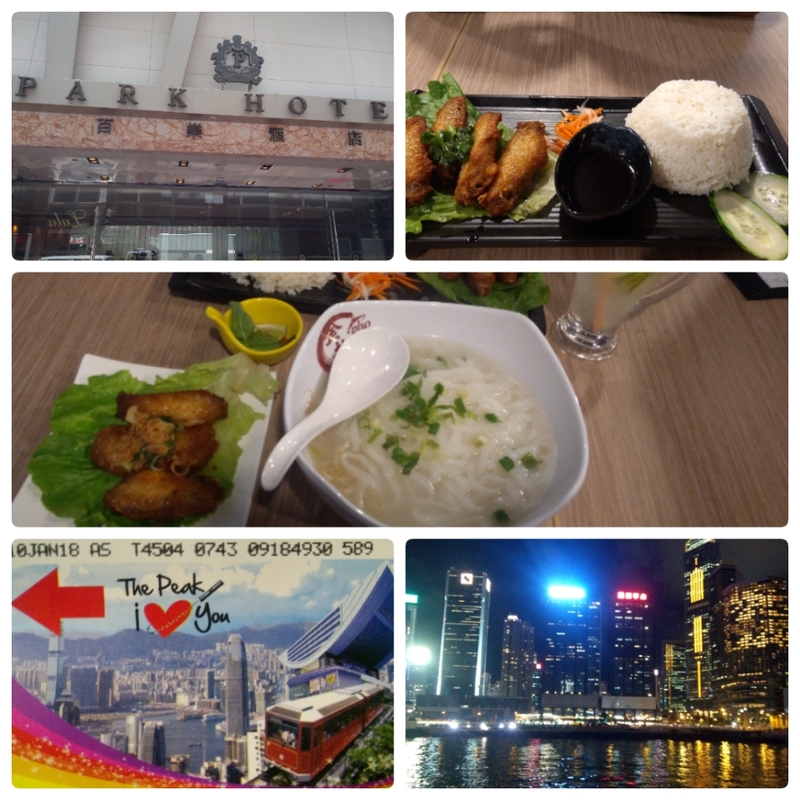 Lovely HK and the amazing food!! 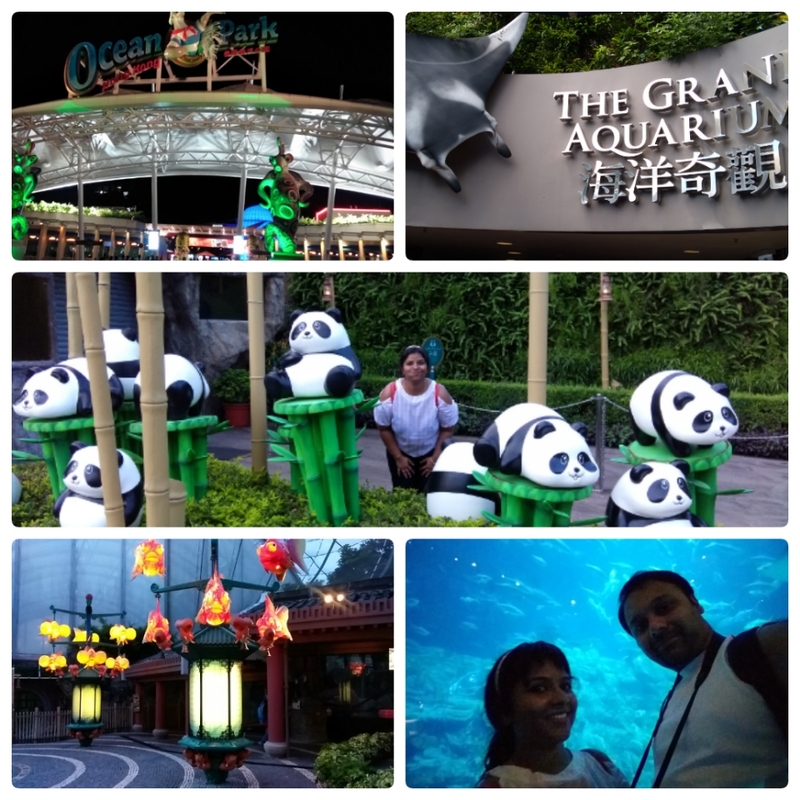 I loved Hong Kong..the stay was short, a wee bit hectic what with us visiting ocean park and Disneyland back to back Phewwww!! 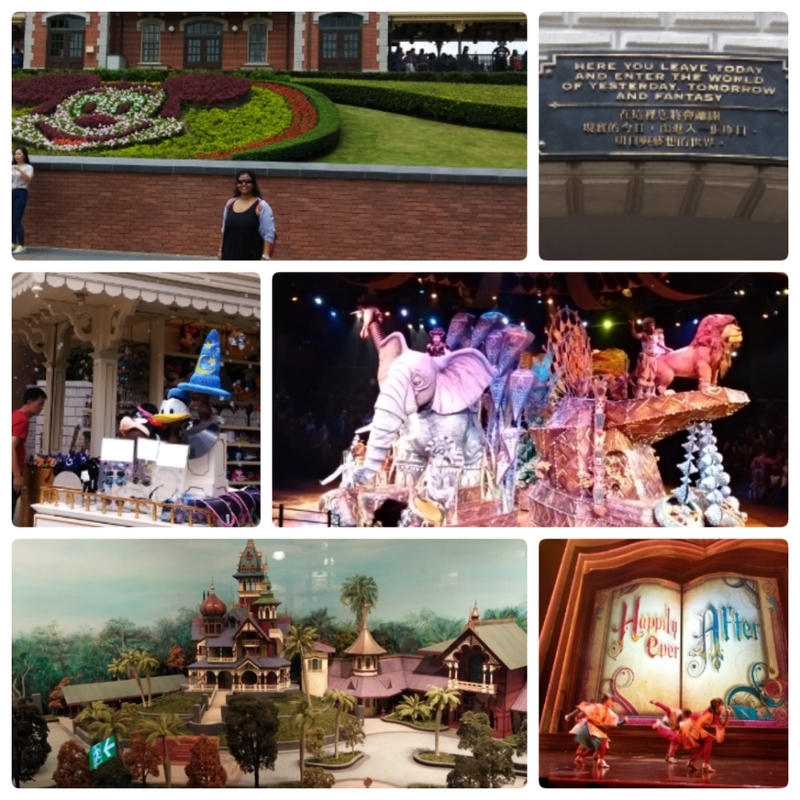 🎡My dream of visiting Disneyland came true!! Ahh truly a dream come true!! 🤔 September was a deciding factor month, we had to relocate to a new place with a new job!! Rhea started walking on her own without Andy support or her walker!! 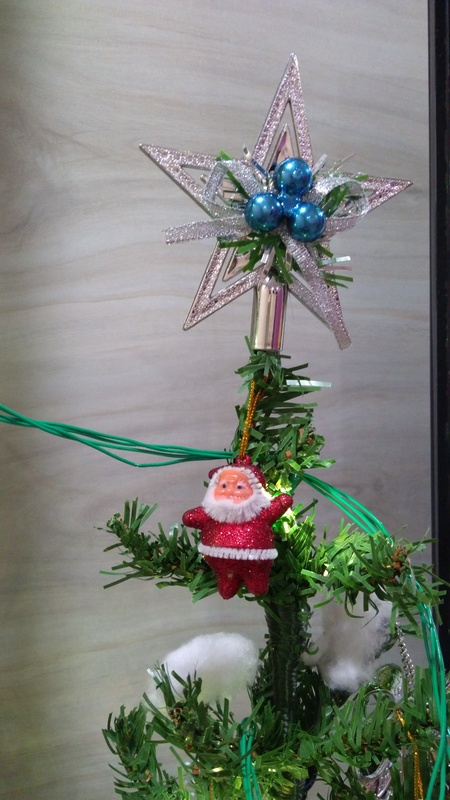 Wheeeee…. 👨‍👩‍👧My lil baby turned one!! All I could say and think was time really flies.. Here she was a lil baby just born and soo soon she’s a year old!! !October also saw us shifting and it was a tough time adjusting to the new place!! 🤷November was spent in house hunting and exploring the new place!! 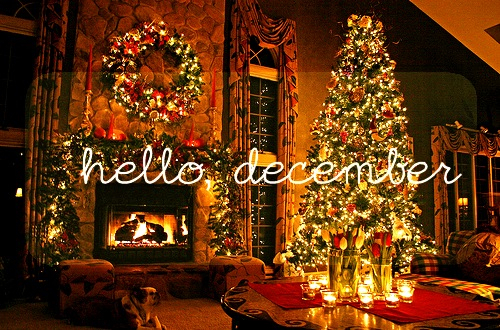 🏡December we shifted and settled finally in our new residence!! 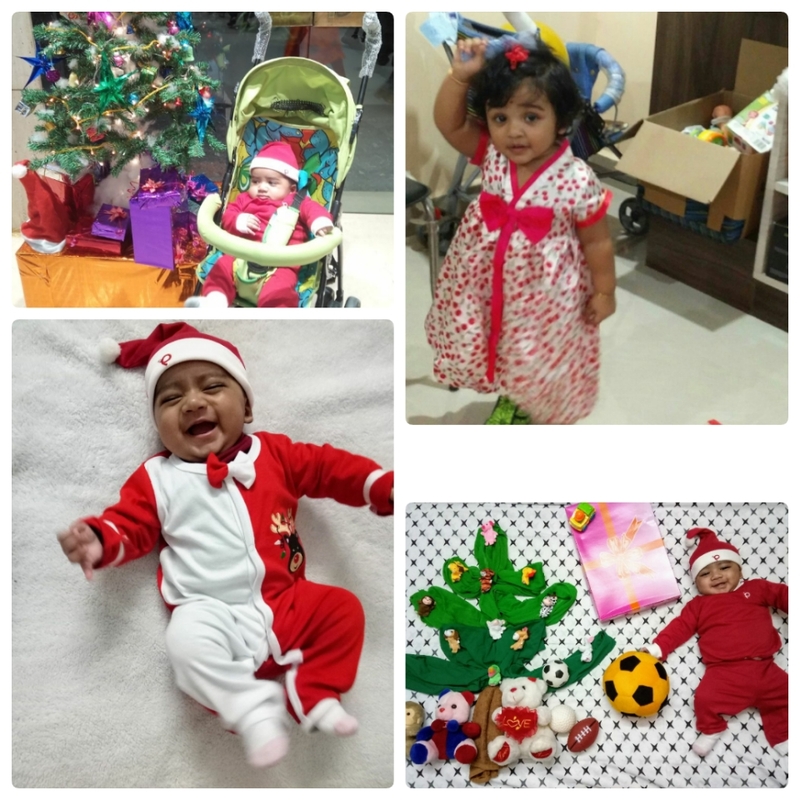 🎅The little ones celebrated Christmas..
Ahaaa..hmmmm..errrrr…nothing much..no specific resolutions cause I don’t stick to them but yes, every passing year I find myself evolving to be more mature.. ( Off which I am glad about ) seriously this year I actually understood few people’s mentality and how to deal with other stubborn souls!! 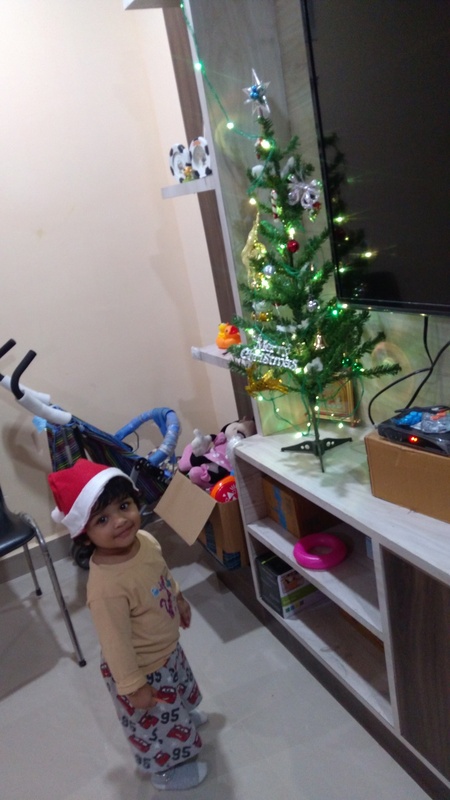 This year it is a little special as Rhea is beginning to understand why there is soo much excitement at home..the balloons, fairy lights and she totally loves the santa cap!! 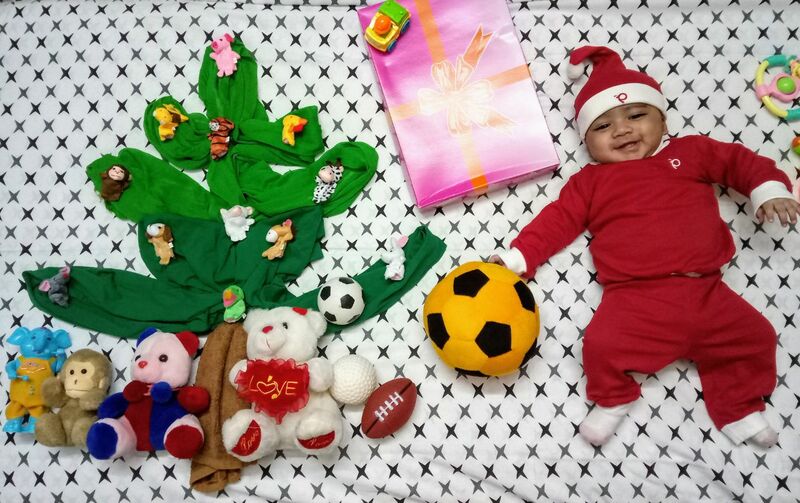 And how can I forgot the new addition to our family..Laksh baby..my nephew..He celebrates his first Christmas!!! 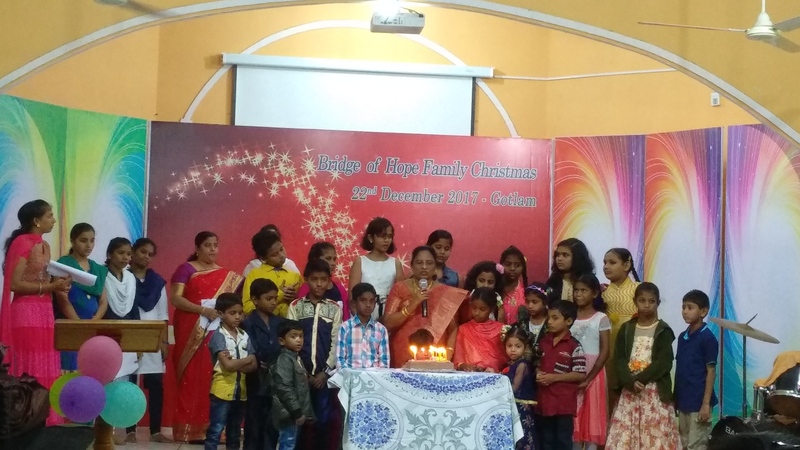 We were invited to a Christmas programme held at an orphanage where we thoroughly enjoyed watching the kids put up wonderful acts followed by an awesome pre Christmas dinner!! 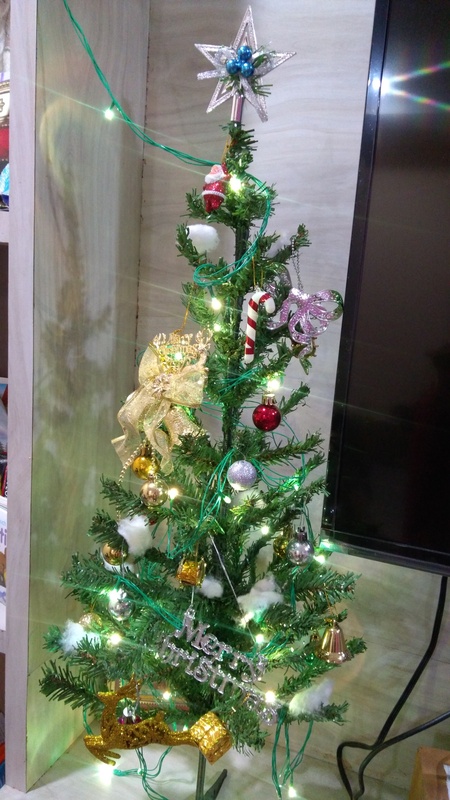 As we are in a totally new place, I did not feel I was missing out on the festivities!! 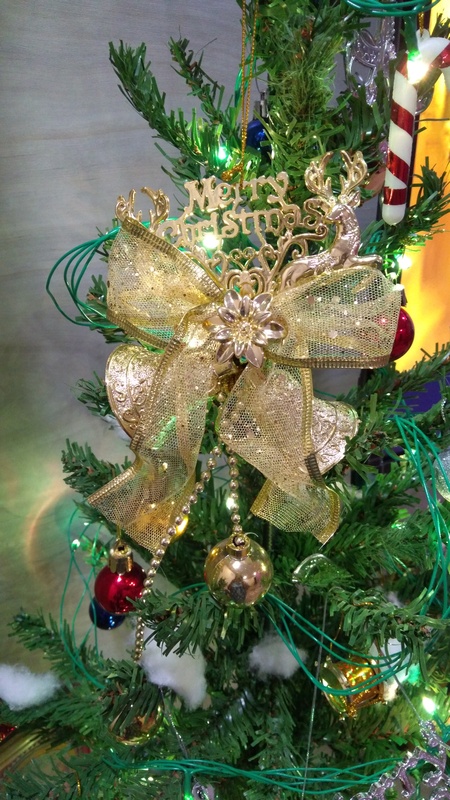 The one song ringing in my mind every morning is “Christmas season is the reason …” From Masha and the bear, if you are wondering who or what is Masha, do check out the following links, though basically it is a Russian animated series, it has English episodes too.. 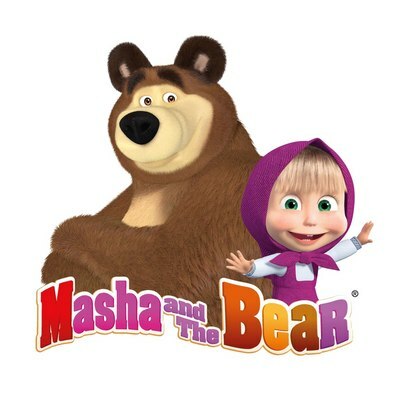 I came across these wonderful series on my journey to show some rhymes to Rhea and boy I love masha and her antics with poor bear!! And do you know the muffin man??!! !Oh I don’t know about Rhea but songs like this make me super duper happy!! 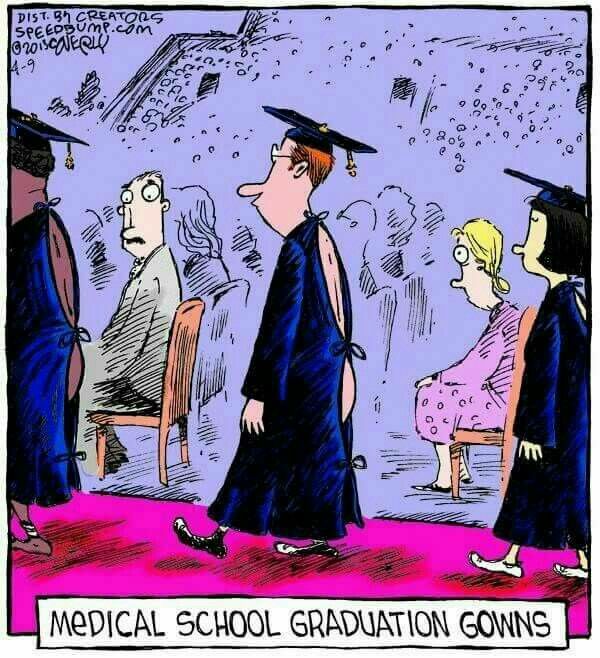 These are the common conversations that take place during our Indian doctor’s reunions post our graduation which reflect the different phases of life and it’s priorities,some of which may feel sad though,but taking it lightly here it is..
1- What are you planning to specialize in? 2- Planning to settle in India or abroad? 3- Did you propose to that girl you were moving around with all the time? 1- What did you specialize in? 2- Own Clinic or Job? 3- How much do you make? 5- Do you own a Car? Which brand? 6- Been on an exotic vacation or solo trips? 1- How many kids? How old are they? Which school do they go in? 2- Which is a good school? Do you have a contact there? 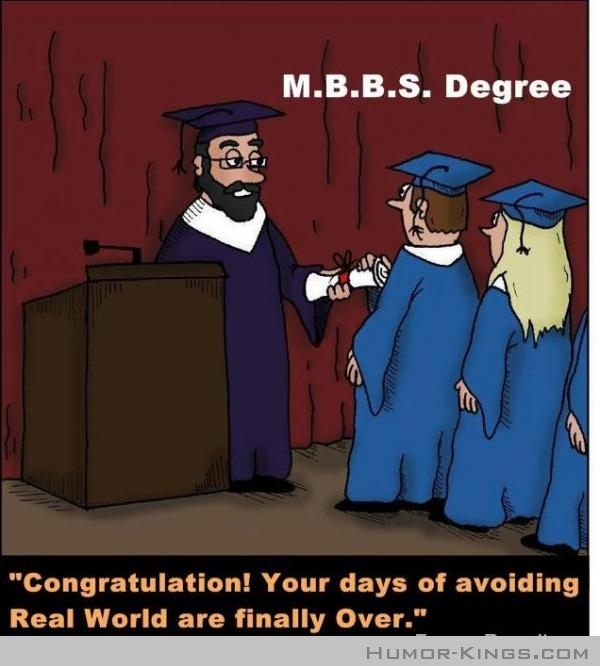 3- My son/daughter is this/that and they have achieved this/that blah blah blah …. 4- What does your spouse do? Medico or Non Medico? 5- Do your parents stay with you? Does your wife approve of them? 6- Does your wife and mother get along well? 8- How many Cars? Any Luxury car or Bike? I have a Benz and a Harley. 9- Own clinic or job? How much do you make? 1- So how is your son/daughter faring in studies? A group or B group? 2- Which college is you first choice to send them for graduation? Planning to educate them in India or Abroad? 4- I see so many patients daily. Do so many surgeries. I am considered an authority on this/that. I get invited to so many conferences/ workshops as key note speaker. I am this/that committee. I am Chairperson of this/that… Blah blah blah…. 5- Are you still married or divorced? This question has nothing to do with point 4. As the one speaking in point 4 is already obsessed by his profession and married to it. 1- Are you still working or retired? 2- How is your back/prostrate/ piles/fissure/varicose veins/ joints etc etc??? 3- What are your children doing? 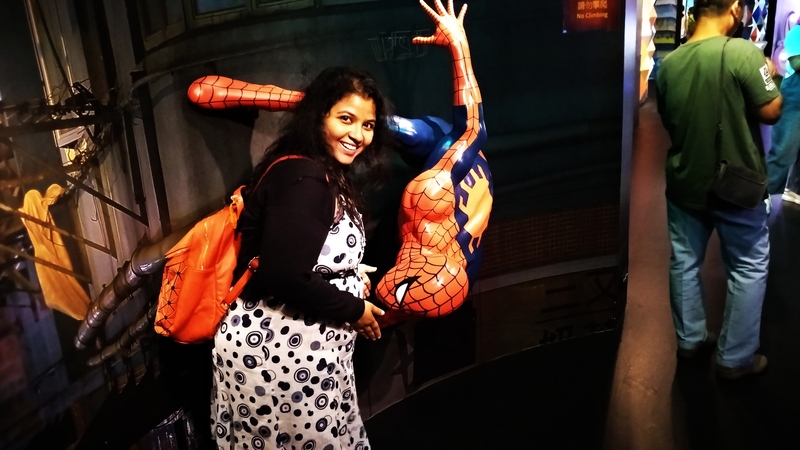 Settled in India or abroad? Married or no? Oh am looking for a bride/groom for my son/daughter. Do tell me if you have someone in mind. 4- Are your children staying with you? No ok- Do they come and visit you sometimes? Reply:- ‘Oh the youth of today are very busy nowadays. They have their own lives and whenever they get a vacation they are off to some exotic location. They too need a break no. 6- My Grandkid is so cute and smart. He/she can do this/that. I eagerly wait to visit them or meet them. 7- Which is a good school nowadays to educate them? Anyway it’s not going to make much difference even if I know because the parents are not going to ask our opinion or advice. 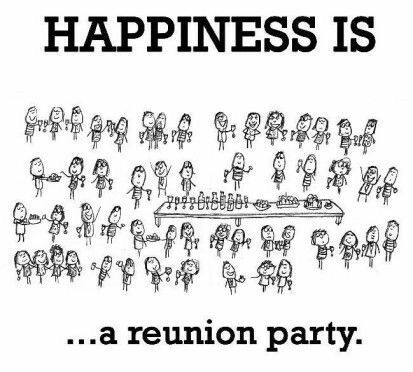 1- How many of our batch mates are still surviving? 2- Are your bowel/bladder habits normal? Do you have to wear Diapers? Which is a good brand of Diapers? 3- Where do you stay? 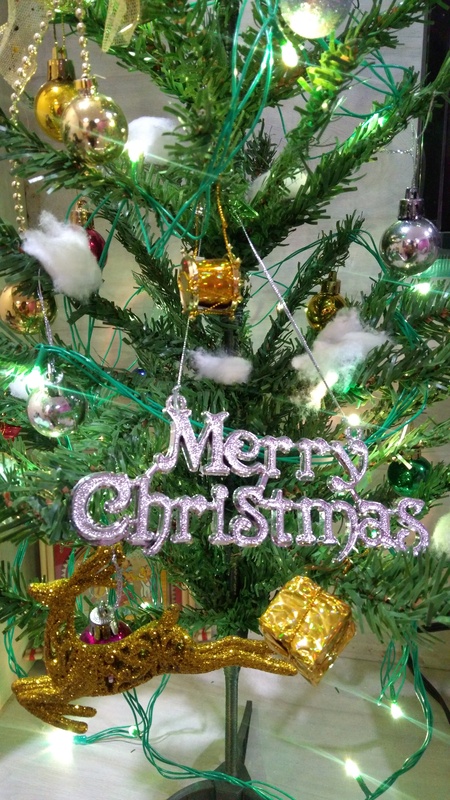 With your Children at their home or Old age Home? 4- Do you know of any good old age home/retirement home in our city? It should be just neat and clean with good nursing and healthcare facilities. Difficult for us to maintain our huge bungalow. Children are busy with their lives, not interested in coming and staying with us. They tell us that if you can’t maintain such a big bungalow sell it off and move into a smaller place. Don’t know why I built such a big Bungalow in the first place. Grandkids have their own group of friends. Don’t even know when they come home, go to sleep, wake up and go to college. Hardly get to see or meet them. 5- Still Married? Divorced? Or Widowed? 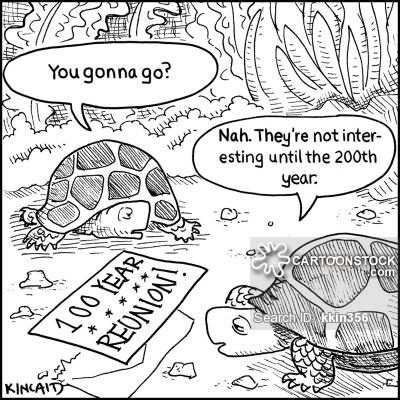 Interested in marrying again? I know of this man/woman around your age who too is alone and desires company. 1- Where have my Grandkids brought me? 2- Who are you? Your face looks familiar? 3- Ok you graduated from so and so college in this batch? My batch? I don’t remember. 5- Who is this beautiful lady with me? Oh My wife!!! When did I marry her??!! 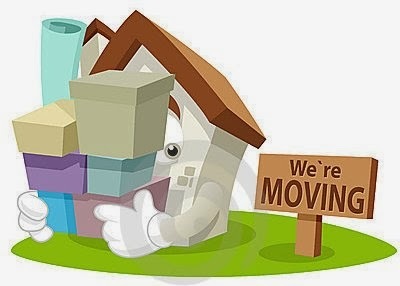 I never thought that vacating the current house which I had occupied for barely 50 days would make me feel soo bad!! 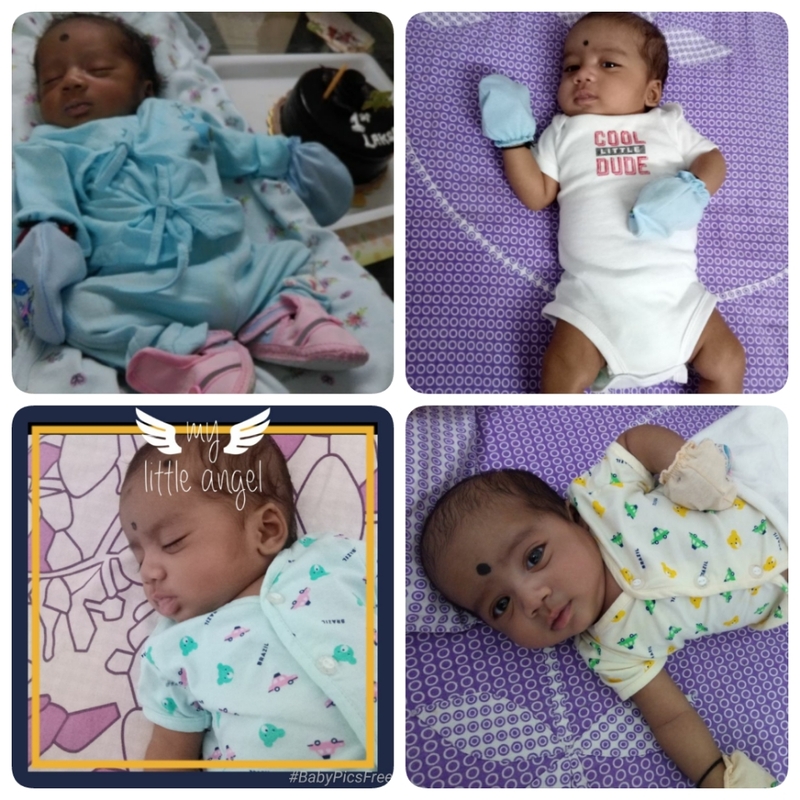 In a span of just one and half months, I gelled with the surroundings, taking my daughter for long walks,letting her explore her newly acquired walking/ running skills, me mingling with a particular neighbour, who was a nice person in this new place to whom I used to go complaining about my maids problems..
My husband too had developed a liking for the surroundings which is always quiet and calm.. I used to go for an evening walk to the nearest grocery shop some 3 kms away with Rhea and he used to pick us up on the way back from work..
On my walks I discovered a bakery kind of a place, a dosa stall on wheels, a tea stall where he used to churn out amazing Bournvita( a chocolatey drink), though the bakery was very expensive in comparison to Bangalore it was the only place to hangout so I guess they had hiked their prices..
A basic chocolate cake which used to cost me 500 rupees in Bangalore, costed me 800 rupees here..
We had a series of super markets in the locality too..me with rhea in her stroller had become a common sighting for many people.. It being a small town, everyone was everywhere it seemed..
Now that I am finally vacating I feel bad..I try not to let it affect me but I guess I am like that..
Now yes you can ask me if I miss this place then why M I shifting..🤔 Reasons being many.. The distance from the main road being too far and lack of transport facilities where I live, that makes me dependent on hubby for everything which I just hate..
Secondly the famous maids probs..more on that in the later posts..